Now for a gal that rarely gets the chance to take outfit photos, I love the sharing with you the details of the few snaps I share on my Instagram and my first one here went down well so here's another! If it wasn't obvious, I loving wearing all black all year so it's no surprise that when Autumn comes rolling round I am totally in my element. 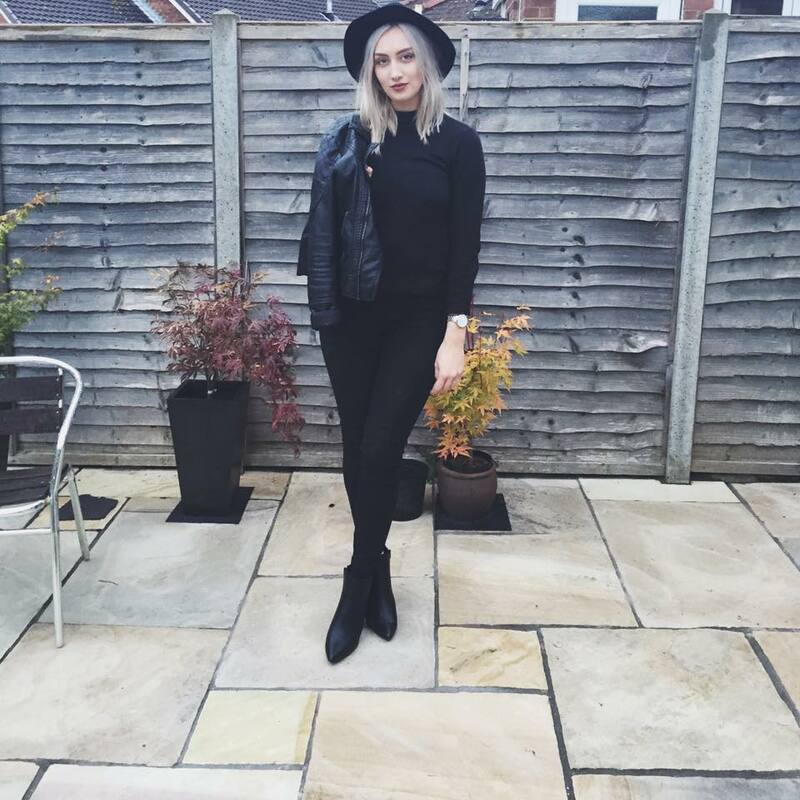 I paired this super simple outfit with these killer boots from Asos and a really old Primark fedora for a meal out at Ask and topped it off with a leather jacket from Tesco last year. I loved taking these pictures, and although only one made the cut it's really inspired me to share more outfit pictures with you - even if I kept being told to smile properly! Be sure to follow me on Instagram @charlrumsby for more outfits and life updates.